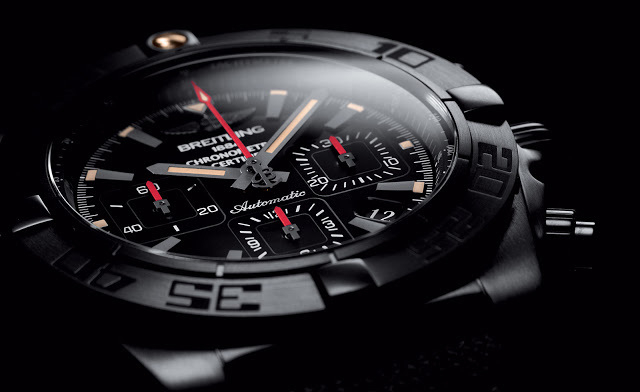 Stainless steel treated with diamond-like carbon (DLC), a hardwearing black coating, Blacksteel is used for the watch cases on several Breitling wristwatches, with the latest addition to the range being the Chronomat 44 Blacksteel, a sports chronograph in black and red livery. A large, 44 mm chronograph, the Chronomat 44 Blacksteel has a black dial with ivory Super-Luminova that gives it a slightly antique look. It has square chronograph counters, red accents and five lines of text, giving it a tightly packed dial that is typical of Breitling. 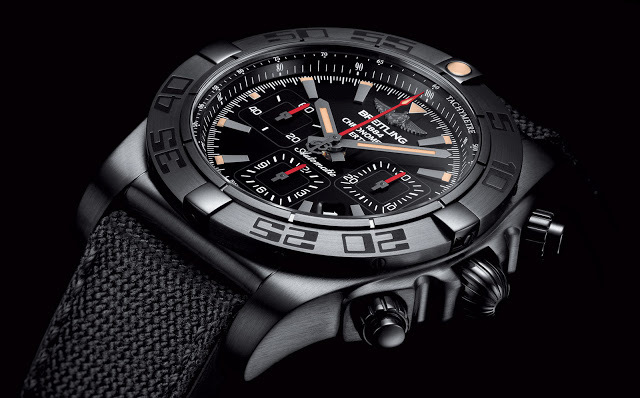 The bezel is unidirectional, with a elapsed time function, meaning it can be used by aviators or divers. To that end the watch is water resistant to 200 m.
Unusually for a watch in this style, the case back is transparent, revealing the calibre 01 movement. 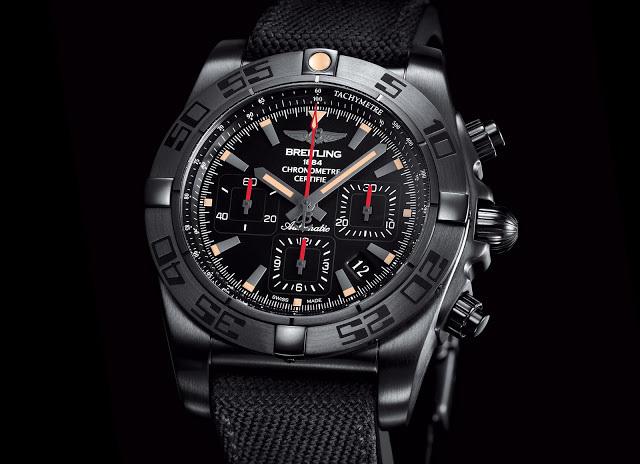 It’s Breitling’s very own, self-winding chronograph movement that comes equipped with the features expected in a high-end, modern chronograph, namely a column wheel (which works as the on-off switch) and vertical clutch (that transmits power from the base movement to the chronograph mechanism. 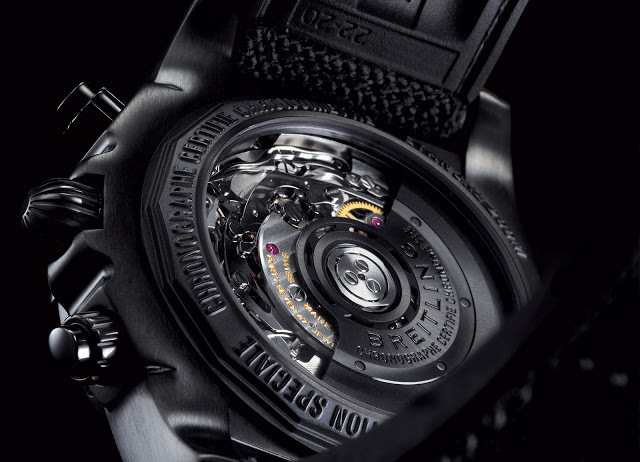 The Chronomat 44 Blacksteel retails for US$9930, or S$12,950 in Singapore.